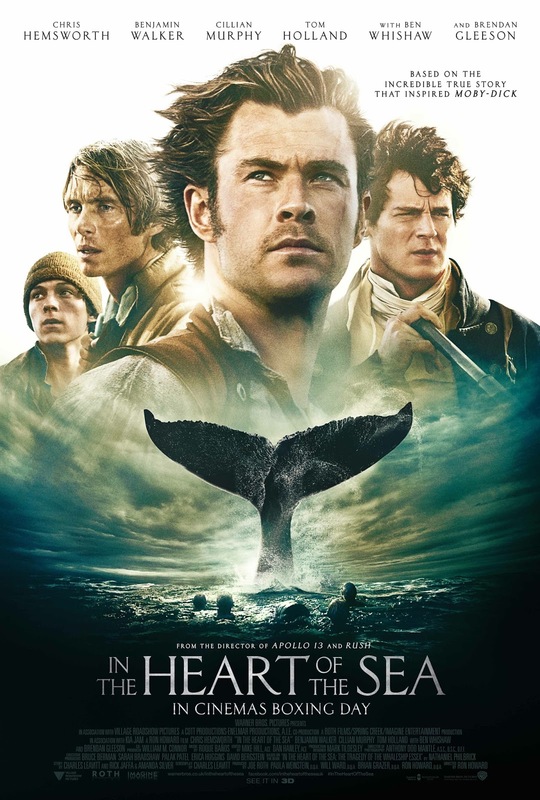 The latest poster for In The Heart of the Sea has a great old school feel to it, with Chris Hemsworth front and centre. Originally the movie was due to hit cinemas at the start of this year, but reshoots and delays have moved it to December 26th. So far the trailers have been phenomenal and the movie is shaping up to be something epic. We've waited this long, we can surely wait another whale longer. Sorry. The film is produced by Joe Roth (“Oz the Great and Powerful”), Paula Weinstein (“Blood Diamond,” “This is Where I Leave You”), Will Ward, Brian Grazer (“J. Edgar”) and Ron Howard. Serving as executive producers are Bruce Berman, Sarah Bradshaw, Palak Patel, Erica Huggins and David Bergstein, with William M. Connor as co-producer.The behind-the-scenes creative team includes Oscar-winning director of photography Anthony Dod Mantle (“Slumdog Millionaire,” “Rush”); production designer Mark Tildesley (“The Fifth Estate”); Oscar-winning editors Mike Hill (“Apollo 13,” “Rush”) and Dan Hanley (“Apollo 13”); costume designer Julian Day (“Rush”) and composer Roque Baños (“Evil Dead”). In the Heart of the Sea will be released 26 December 2015.